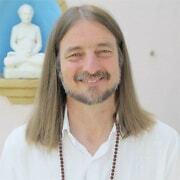 I have been practicing Kriya Yoga for a year. I have had the experience that some force is pulling me in some direction. At times I feel that some subtle inner body is swaying to and fro. Sometimes this swaying happens in the entire body, sometimes only from the navel to the pelvis. I do get scared and usually, I open my eyes. There was one time while chanting AUM, that I heard the sound in my right ear for about 1-2 seconds. It seemed as though the sound was coming from my stomach. Should I be concerned with these experiences? There is nothing to worry about. This is just energy rising, which happens naturally with focused Kriya Yoga practice. This energy can sometimes also pull your head in some odd direction, or it can be felt in certain parts of the spine or in the body, and it can make the body sway. The swaying experience is something many people have. The sound in the right ear too came from that energy. Maybe it came from the “stomach” but if so, it was really from the third chakra. Yes, open your eyes for now if it seems a bit much. In time, it would be best not to move the body at all. When you feel energy moving anywhere, try to direct it upward to the spiritual eye, with concentration. Strong rising energy finally results in a blissful feeling. Also, sports are good when these energies awaken to balance them with the earth element. Move the body. Be happy. Something wonderful is happening to you. You just need to get used to it and control that energy upwards.